Memory is a psychological process that goes beyond remembering important information. 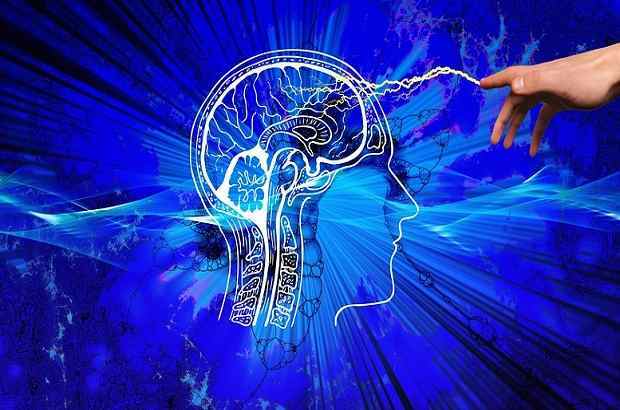 Like any senses, including the sense of consciousness, it is a conceptual process that is influenced by our beliefs, anticipations, expectations, and fears. Our memory system works in three separate processes: encoding, storage, and retrieval. Encoding: This is the process of converting information into specific forms for processing. Storage: This is what it looks like: storage of information for subsequent recovery or retrieval. The model of storage is the model of the stage, which includes sensory, short-term, and long-term memory. Generally, all long-term memories begin as sensory experiences, are encoded and then are stored long-term after passing through short-term processing. Retrieval: It is aware of the conscious or unconscious of information from long-term memory. Consolidated information is stored in long-term memory registers, and then re-activated and returned to short-term memory. This is achieved through the activation of the information's network through the use of retrieval signals. According to Wikipedia "Forgetting or disremembering is a clear loss or modification of information already encoded and stored in an individual's long-term memory, it is an intuitive or gradual process in which old memories cannot recall from memory storage." In simple words, forgetting is an inability to remember. Psychologists usually use the word forgetting to encode before long-term memory and refer to the obvious loss of information stored. In the form of a disorder or in more severe cases, it can be described as amnesia. The word "amnesia" refers to the loss of memory. This is a kind of memory disorder that occurs from a loss of what has already been stored. There are some amnesia quotes that explain amnesia very clearly. Read more: How and why do we forget things? Natural or passive forgetting is unknown and happens over time. It is quite normal for people to forget what was previously experienced. Painful memories push into the unconscious layers of the brain and go there to forget. Artificial forgetting is the tendency of artificial neural networks to completely and abruptly forget about the information previously learned on learning new artificial information. Sometimes, we forget because instead of passing the time, we experience painful injuries in our brain. Amnesia is a situation in which we lose memories, facts, dates, or difficult to remember recent or past events. Things like amnesia stroke, a major blow to the head, or a tumor impacting part of the brain. Excessive use of medicines or alcohol can also cause amnesia. There are two types of amnesia. (a) Psychological amnesia ,(b) Biological amnesia. This kind of amnesia occurs as a result of major disturbances in the process of encoding, storage, and retrieval or recovers. There are various types of psychological amnesia in the world. This may be due to an inability to recover the memories of childhood which are unpleasant. These memories can create a sense of guilt, so they are suppressed. Another reason may be due to differences in encoding methods. - During childhood language and experiences, they are encoded and stored abusively, but as soon as the child develops and learns the language, the information is stored in a verbal form. This leads to retrieval problems that are unable to remember childhood memories. Developed to rely on self-esteem and deal with anxiety. A person suffering from this amnesia might forget his name, business, relatives' names and all other things, such as eating basic habits like eating, drinking, talking, etc. This kind of amnesia usually happens when a person is in a very serious condition to harm his self-esteem. Sometimes in this situation, he can run away to new places in faraway places. This is called a fugue. Everyone experiences dreams. But he will be unable to remember the contents of all dreams because many of them are in hidden form so there will be no sign of memory. This amnesia is due to the unusual functioning of the brain. Such abnormalities can be caused by a shock on the head, some problems such as temporary disturbances in the blood supply to the brain, alcohol, and certain drugs like marijuana, brain disorders, and some other damage to the brain. As a result of these problems might result in amnesia called transient global amnesia which is a deep memory loss. It is called global because all stored information is lost and no new memories can be made during these conditions. 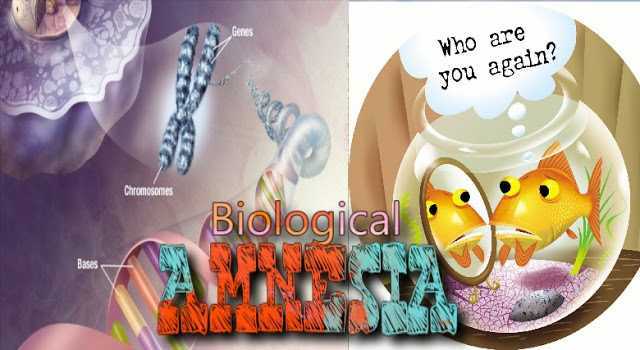 Biological amnesia also has three major types. Sometimes we cannot remember the things that happened before the onset of this amnesia. Therefore, when we may be able to create new memories, we are not able to remember those things that happened before we experienced amnesia. For example, if we experience retrograde amnesia, we may remember the person we met now, but we may not be able to remember a party six months earlier. It may refer to the inability to create new memories after the onset of amnesia. Sometimes it can also mean that we are having difficulty remembering the immediate past. In such amnesia, our memories are retained from the past, but we will not be able to remember the name of the person we had just met. When we were 2 or 3 years old, we did not have many memories. This is due to our loss of infantile amnesia, or very early memories. Most of us cannot remember those things when we were very young. Some have suggested that we lose these memories because they can be painful and traumatic, and so we suppress them. But other explanations are slightly different, suggesting that these memories were not created and therefore we cannot use them. According to this theory, the memories we make leave traces on our brains, and as soon as these traces take time, will be faded. These marks or traces which are responsible for our memory are called engrams. The memory system is formed in our nervous system. If the learned process is not used for a long time, the mark fades. Therefore, it is a mistake of time that is responsible for forgetting. In other words, trace decay is a natural loss of information over time. As soon as we were formed age, engrams or memory marks and we are unable to remember some facts events, and materials have not been modified often can easily be faded and forgotten. However, if continuous memory or modification happens, then these organs are kept firm and can easily remember. One important reason to forget about everyday life is the interference of the material. New and old experiences may have to be forgotten by interference. Memory marks or traces that overlap interfere with each other and erase them. In other words, if the material learned is to remain in memory for a long time then it will have to make memory traces in our brain. All of us learn and experience memory traces. When more and more memory traces are formed, there is some overlapping of the traces, which results in obliteration and interference. Learning here will interfere with and inhibit another memory process of learning. There are two types of interference: (a) proactive inhibition (b) Retroactive inhibition. If earlier education interferes with learning later and remembers new material, then it is known as a proactive inhibition. This usually happens when the previous education is better than the present. For example, if one learns a theory in psychology and then learns the second, then the new theory is remembered and forgotten the old, then it is proactive interference. Inhibition or prevention of earlier learning and remembering by later learning is known as retroactive inhibition. The underlying condition between the original education and its memories is the reason for forgetting. It is called retroactive because interference happens with the memory of events that came before the intervention activity. For example, a student learned about inspiration in psychology last week, this week he learns about the perception. Now he tries to remember information about the inspiration, but the points related to perception will be remembered in his memory. Repression is a defensive mechanism. As stated by Freud in the theory of psychoanalysis, painful experiences and forbidden desires are pushed into the unconscious and the person does not want to remember them. Although they try to come to the level conscious, they are pushed back or deliberately avoided. According to Correspondence Early Childhood Education, there are times when an incident or any action is so painful that we cannot cope with its memory, so we completely repress the memory. Teachers of Early Childhood Education argued that very dangerous or anxiety-stimulating content is often unable to gain access to awareness. By pressing memory in the subconscious and actively repressing it, we are unable to remember the memory. Motivated forgetting is purposeful forgetting, even if it is not purposeful at a conscious level. Unable to remember the casualty patients, what happened in the time of the accident was because the painful memories of the traumatic incident are probably repressed. Retrieval is required to remember. Some retrieval cues and rebuilding processes help in this process. These retrieval cues or reminders, direct the memory search to the appropriate section of the LTM section. Without proper recovery signals, items stored in LTM cannot be demanded. It leads to forgetting. Retrieval failure is a failure to remember or recall the memory due to unacceptable stimuli or cues which were present when the memory is encoded. It is a very common experience that when we see that person, we fail to remember somebody's name because we are unable to recover it from our memory. Sometimes we describe it as the answer to 'tip of the tongue'. Also, forgetting during the exam is this sort of forgetting. The term memory refers to the relative permanence of the effects of experience, and this is evidence of the occurrence of learning, and indeed a prerequisite for the continuation and advancement of learning. The flow of information depends on the various communication channels, the memory then becomes a commercial memory. The memory is the process of installing the modifications in the theory of behaviors and keeping them ready for use. A large number of contemporary scholars have agreed that the factors that affect remembering, retention, and retrieval are the same that affect educational attainment and acquisition from the point of view of knowledge. There are many reasons for forgetting. 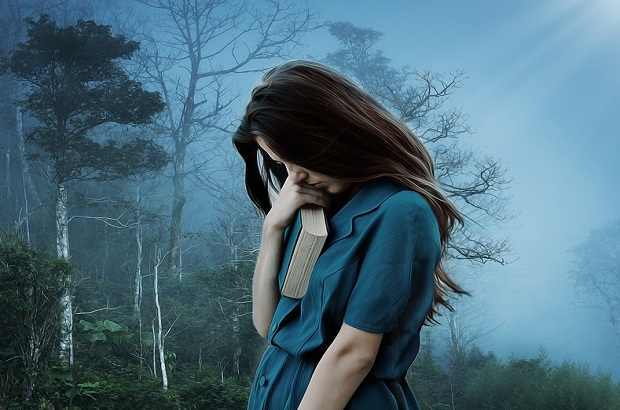 There is no specific thing that leads a person to forget, but it is many factors and reasons that may lead to forgetfulness, such as a person passing an accident that enters him in a shock that forgets everything that happened in the past or makes him remember only the accident. In another article, we have discussed why do we forget things? if you want to know the reasons, you must read the article.